Oh me, oh my. 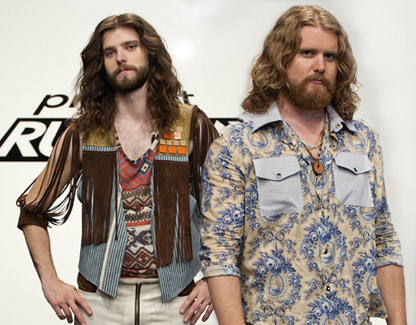 After we had some cracktastic hippie-dippie menswear last week, the Project Runway producers just couldn't help themselves and threw us back into the lions den this week. The fall TV season is slowly kicking into gear. With the exception of mid-season latecomers Cougar Town and 30 Rock, pretty much all of my regular shows are back on the air. This week brought the return of Happy Endings, the little sitcom that could. Last season, ABC waited to premiere the show until mid-April at 10:30pm, which didn't exactly look like a vote of confidence from the network. 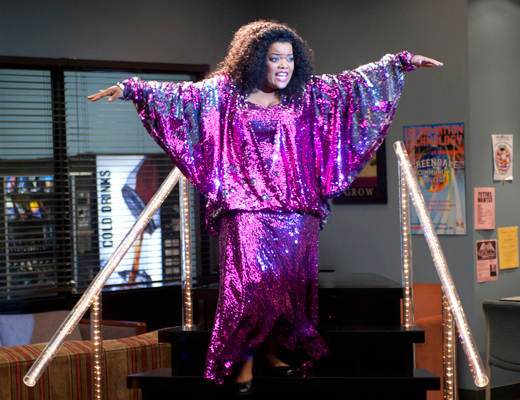 Fortunately, Happy Endings proved to be quite the hidden treasure and was renewed for a second season. While the Season 2 opener wasn't necessarily the best the show has offered, let's give it a warm welcome to the Happy Family Jules family! Something's gotten into Hollywood recently: they've all got dancing fever! Earlier this week, Barney and Robin got down on the dance floor in the season premiere of How I Met Your Mother. If that wasn't enough for you, don't worry—Community's got you covered. To open the Season 3 premiere last night, we took a look into the strange psyche of Jeff Winger (played by Joel McHale), and it surprisingly included a lot of glitter, choreography and jazz hands, not to mention Jeff's desire for the study group to stop being so weird. 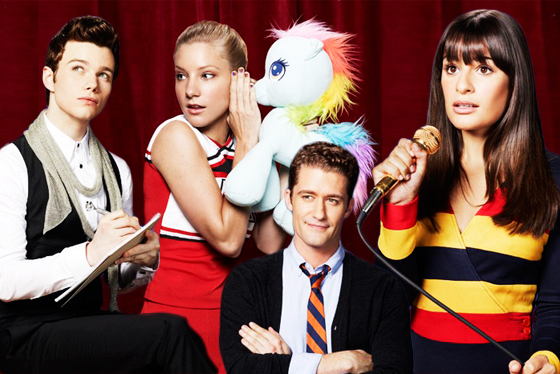 Attention All Gleeks: tonight is the season premiere of Glee's third season. As if you needed reminding. At this point last year, I was head-over-heels excited for a similar occasion, admitting that, despite the hype, it looked like Season 2 would be one for the books. Well, Season 2 came and went and while it was certainly "one for the books," that's not necessarily a universally positive descriptor. Season 2 brought us exciting highs—Kurt and Blaine, the rebirth of a more beloved Gwyneth Paltrow, The Warblers, plus an amazing array of award-worthy songs—but it was also the source of many fans' headaches and frustrations. From plot lines that made no sense (Emma's marriage to Uncle Jesse) to tribute episodes that just plain stunk (hello, "Britney/Brittany"), Glee experienced what I would call a huge sophomore slump. The good news about sophomore slumps is that the third time is often a charm—just look at Friday Night Lights. I'm choosing to go into Glee Season 3 with an optimistic mind and an open heart. In fact, I've avoided reading any information on the upcoming season in the hopes of avoiding hype or, more likely, early disappointment. Last night was the season premiere of Dancing with the Stars, but the best dance wasn't from Chaz Bono or Carson Kressley. Heck, it wasn't even on Dancing with the Stars! Nope, the highlight of the dance floor last night was on the Season 7 premiere of How I Met Your Mother when Barney and Robin (a.k.a. the amazing Neil Patrick Harris and Cobie Smulders) decided to "show Cleveland how it's done" with a killer routine to Deee-Lite's "Groove Is the in Heart." 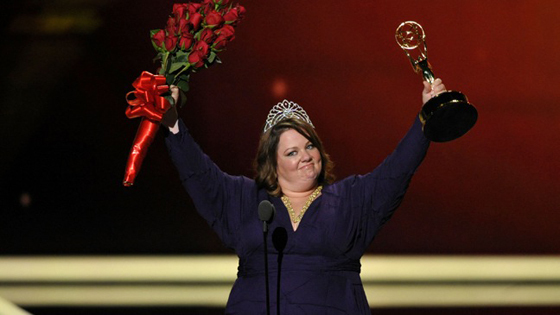 A day late, I know, but there's still some time to celebrate and remember this past Sunday's Primetime Emmy Awards. As expected, the Academy had a barrage of unexpected decisions which rendered my predictions pretty much useless—8 out of 25 correct, wahoo!—although some of those surprises were way better than what I anticipated (i.e. 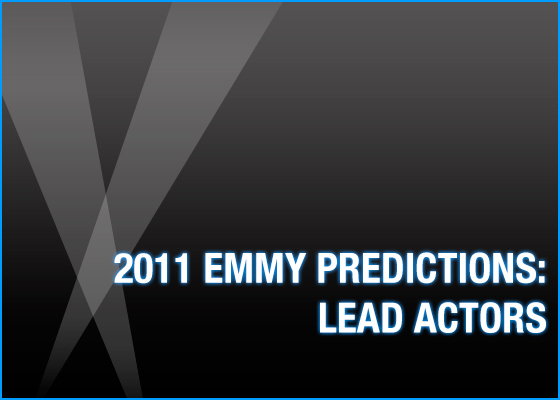 Kyle Chandler, a Showtime girl not winning Lead Actress in a Comedy, etc). Modern Family pretty much swept the Comedy awards, Boardwalk Empire's anticipated sweep was a dud and Steve Carell will now never have an Emmy for his work on The Office. As always, a weird night. Let's get this out of the way. Real people—you are unworthy of fashion. Your normal proportions and curves are too large for designers to possibly fathom draping fabric over, and the mere sight of your body is repulsive to them. Should you be blessed with meeting a fashion designer and paying them money to make a garment for you, do not dare to voice an opinion for you are there to be seen, not heard. If that makes sense to you, then I bet you really enjoyed this week's Project Runway. If you think the previous paragraph makes me sound like a crazy person, then 1) congratulations, you are a normal person; 2) you, like me, were probably enraged by the designers' behavior. Now that the parts are complete, let's talk about the whole. It's Outstanding Series time. 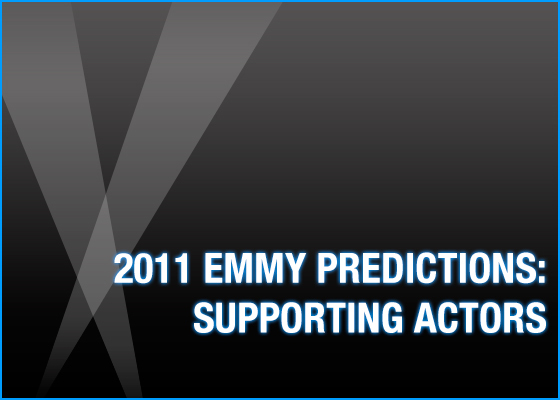 All of my acting predictions are complete: Supporting Actors, Supporting Actresses, Lead Actors and Lead Actresses. Now let's break down the shows nominated for Outstanding Reality-Competition Program, Outstanding Comedy Series and Outstanding Drama Series. From business executives to stand-up comedians, football coaches to serial killers... this one's going to be a doozy. 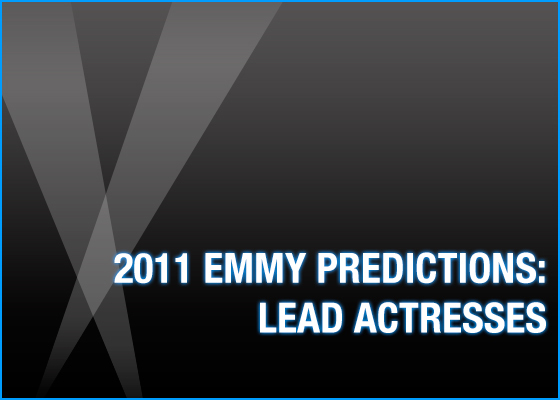 So far we've broken down the predictions for the Supporting Actors, Supporting Actresses and Lead Actresses. Now let's take a look at the men in charge: Outstanding Lead Actor in a Comedy Series and Outstanding Lead Actor in a Drama Series. Leading ladies.... the spotlight is yours! Labor Day has come and gone, the air outside is getting (a little) cooler and all the kiddies are back at school. That can only mean one thing: Fall TV is back! With the series premiere of Up All Night with Will Arnett and Christina Applegate, tonight begins the barrage of season and series premieres that will flood our DVRs over the next few weeks. From new shows like New Girl and Terra Nova to returning favorites like Glee, Modern Family and The Amazing Race, it looks like this is going to be one heckuva busy television season. 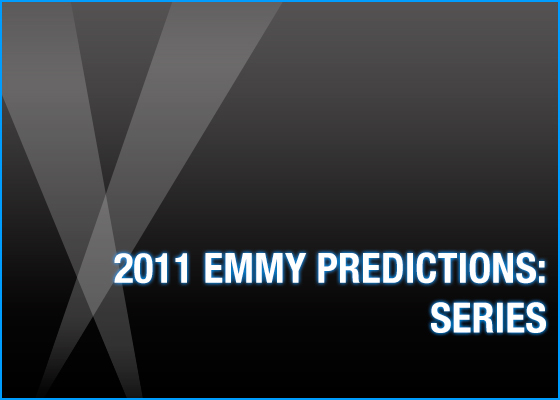 Emmy Week has already begun here on Please Welcome Your Judges, but the real fun starts now: it's time to predict! Today, let's look at the nominees for Outstanding Supporting Actress in a Comedy Series and Outstanding Supporting Actress in a Drama Series. The big talk around town this week is about the upcoming Emmy Awards, a night which will celebrate the best of the best of television (with a few surprises and glaring omissions, of course). 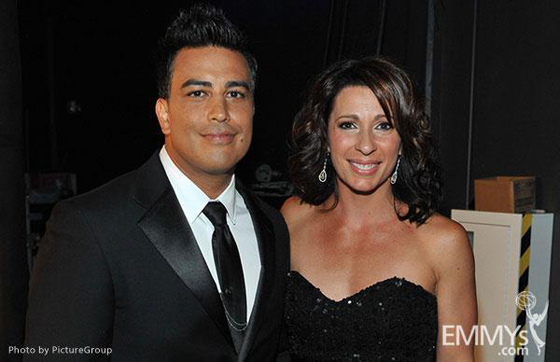 This past Saturday the party started with the 2011 Creative Arts Emmys—known lovingly by Kathy Griffin fans as the Schmemmys—awarding the best in technical and behind-the-scenes disciplines, as well as Outstanding Reality Program, Outstanding Host for a Reality or Reality-Competition Program and the guest acting awards. Over 75 categories were celebrated at the event, an edited version of which will air on ReelzChannel this Saturday, so instead of listing off all of the winners, I'll just highlight a few of the most exciting ones. Join me in sending all of them a hearty Condragulations! Exciting news around these parts this morning. 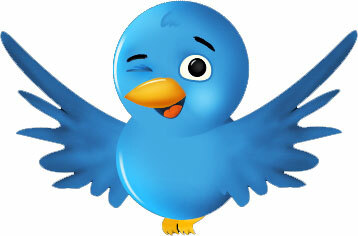 Please Welcome Your Judges now has an official Twitter account! Head on over to Twitter and follow @PWYJudges so you can get complete pop culture coverage in 140 characters or less in between regular postings. There will also be some scheduled (and most likely a lot of impromptu) live-tweeting of favorite shows. Because while I couldn't bring myself to write a full review of The A-List: New York, it'll be fun to rip apart those queens as we watch, right?! Thus ends this brief public service announcement. See you on Twitter, dear readers, and check back here all week for Emmy coverage, a preview of the upcoming fall TV season and, of course, some Project Runway judging! The "Previously on Project Runway" clip this week was about 89 minutes long, so in case you zoned out, here's what you needed to know before last night's episode: Josh is a mean girl but we are sad he lost his mom, Bert doesn't play well in the sand box, Anthony Ryan is colorblind, team challenges produce drama. Did I miss anything? Excellent, then on with the show! After a quick respite from drama (and excitement) last week, this week's episode thrust us back into Team Challenge Land and also brought back the now-annual HP TouchSmart Textile Challenge! And while it wasn't the sob fest that last year's textile challenge was (two words: Mondo's pants), it was quite an entertaining soiree into group dynamics. Let's break it down, m'kay? 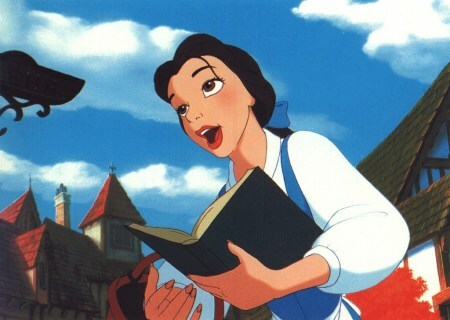 From the silver screen to the Broadway stage to theme park shows, the opening scene of Beauty and the Beast is one of Disney's most iconic musical numbers. The dizzying array of villagers and vignettes buzzing around Belle as she buries herself in a book and dreams of distant worlds is the perfect way to illustrate just how different she is from those around her. And after all, isn't it how we all learned the French word for "hello" growing up...? Just me? If you aren't sure what to do for the perfect long weekend cookout, I have just the thing for you. 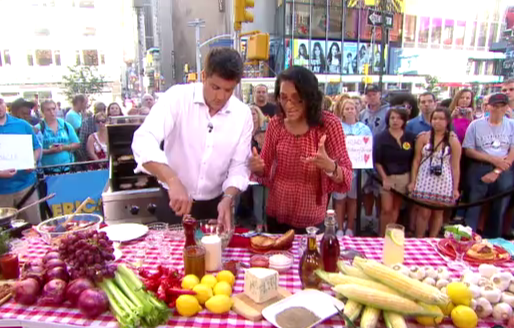 Top Chef fan favorite and former model Carla Hall appeared on Good Morning America this morning to demonstrate how to make the perfect Labor Day barbecue burger and strawberry parfait. Check out the video below, because you know you've missed having Carla in your life! After last week's drama-filled bitchfest, this week's episode of Project Runway was remarkably calm, to the point where I was a little bored. It was the first time this season that I felt the 90-minute format was far too long—this episode could've easily been an hour, and even then it might've dragged. So in order to avoid that issue here, let's get this thing moving and breakdown the episode, shall we? Believe it or not, but we are quickly approaching Labor Day Weekend which means the end of the Summer Movie Season is upon us. With a mix of superhero blockbusters, epic sequels, emotional indies and gut-busting comedies, I think it's safe to say that this summer was a success. Of course, I stayed away from the obvious dreck like Don't Be Afraid of the Dark and One Day, but there's always going to be a few sour apples in the bunch. With the onslaught of So You Think You Can Dance and Project Runway reviews, the movie reviews have fell a bit by the wayside this summer, so let's do a quick rundown of all the movies I saw between Memorial Day and Labor Day this year.